Oil Free Dry air ensuring the highest quality air at the point of use for critical applications. Parker Zander Oil Free Air System. Combining sophisticated OIL-X fi ltration technology with an optimised drying system, the OFAS is designed to deliver consistent high performance over an extended period. Air quality is third party validated to ISO 7183 and ISO 8573-1 and also offers class 0 for total oil. So you can be completely confident of your compressed air quality. 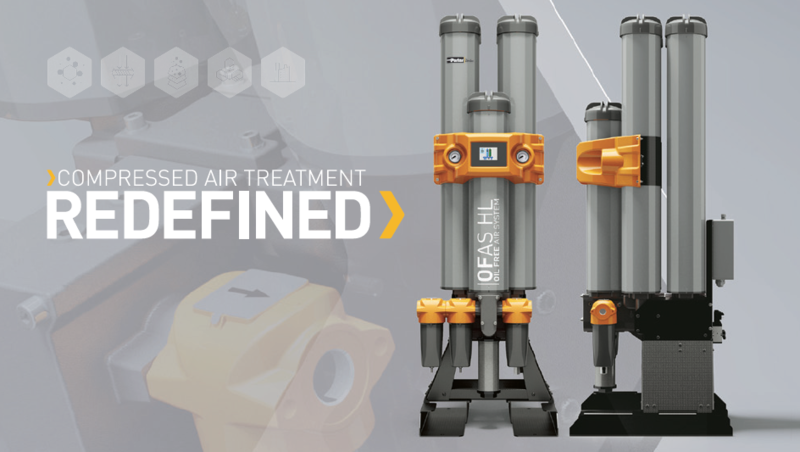 The OFAS is third party validated by Lloyds register to provide ISO 8573-1 Class 0, with respect to total oil from both oil lubricated and oil free compressors, ensuring the highest air at the point of use for critical applications. full utilisation of the desiccant material. provide validated ISO 8573-1 performance. robust cylinders extend service intervals. 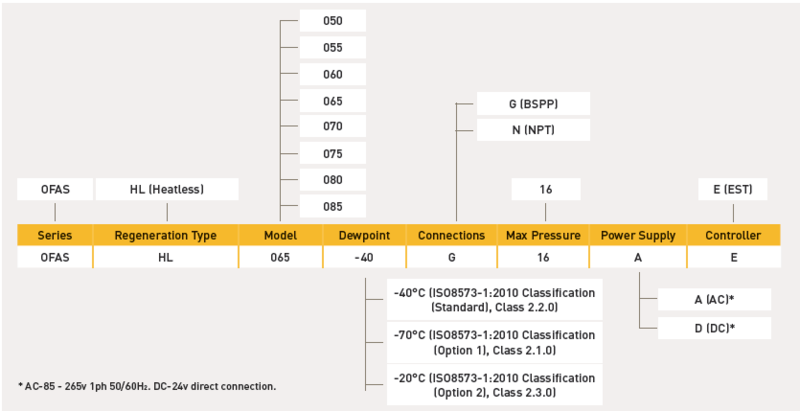 Stated flows are for operation at 7 bar (g) (102 psi g) with reference to 20°C, 1 bar (a), 0% relative water vapour pressure. For flows at other pressures, apply the correction factors shown below.